"I'm inspired by punk rock. I'm from London and so street fashion and punk fashion." 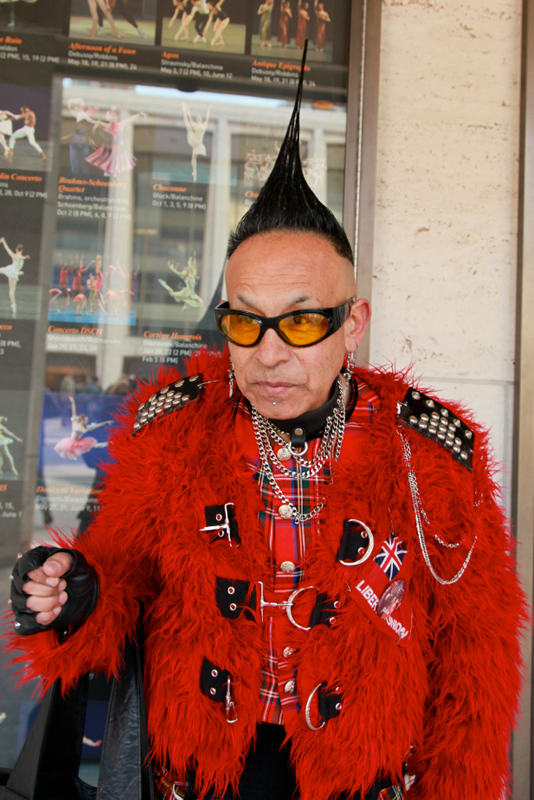 A bright and gravity-defyingly coiffed individual among the fashionable set at Lincoln Center.